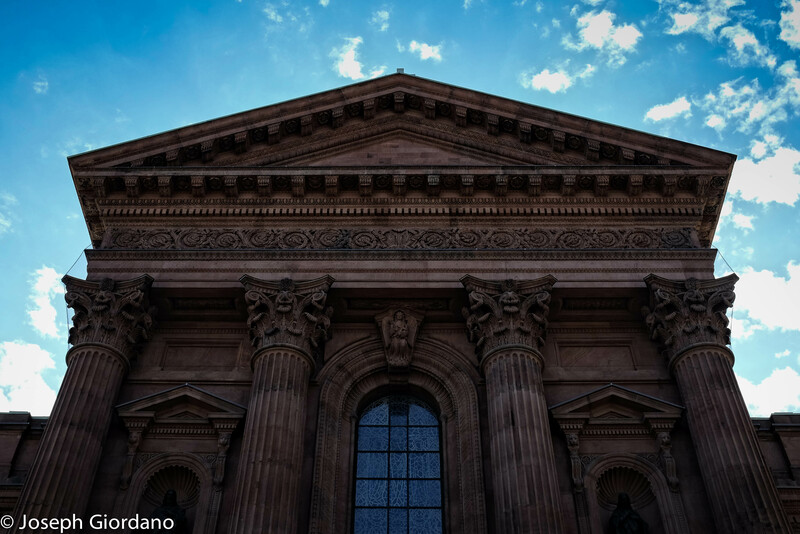 This is another example of the wonderful architecture the city of Philadelphia has to offer. City Hall is an all stone building with no metal support structure. 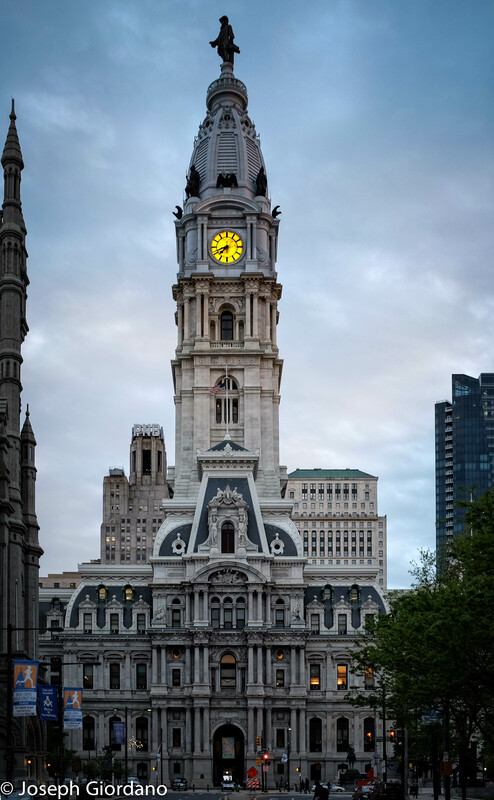 It was the tallest building in Philadelphia for many years and a 30 foot statue of William Penn stands atop this building. 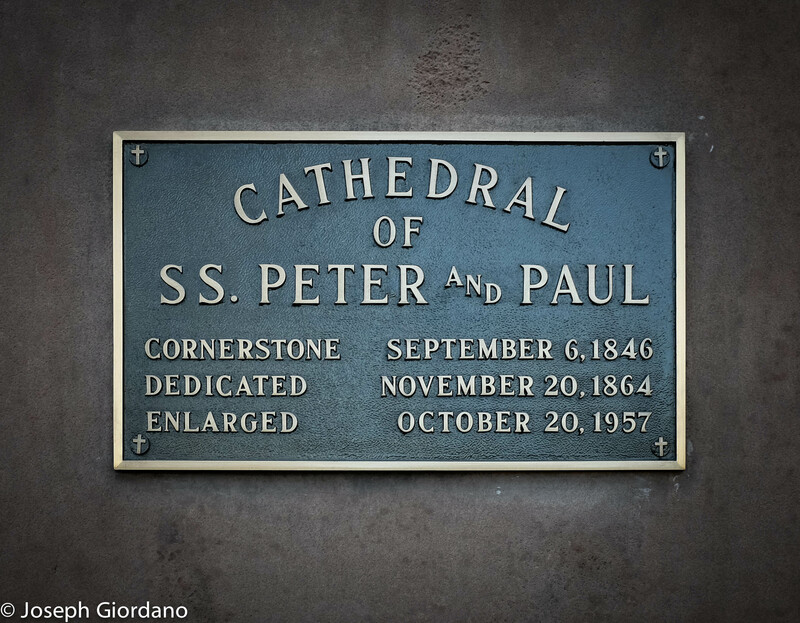 This is the Cathedral of Saints Peter and Paul. 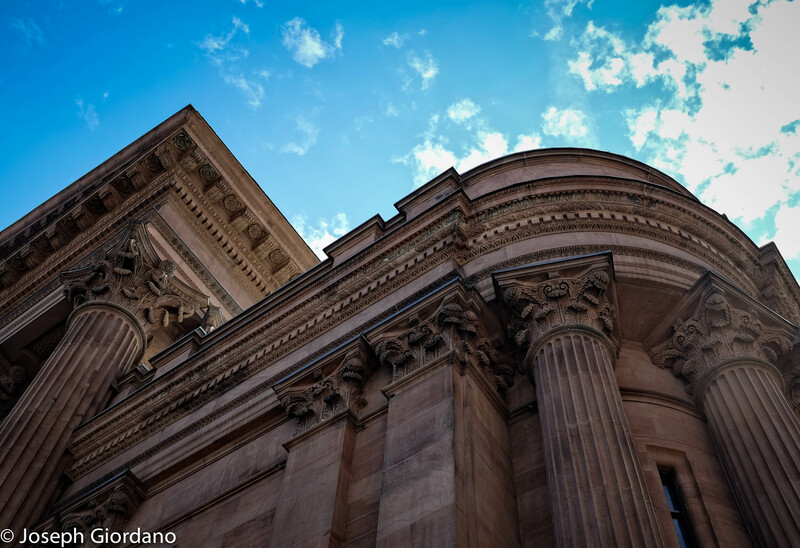 It is an imposing Brownstone structure that was just across the road from a hotel we were staying in on a recent trip the city of Philadelpia. It is also one of the most beautiful cathedrals I have ever seen. 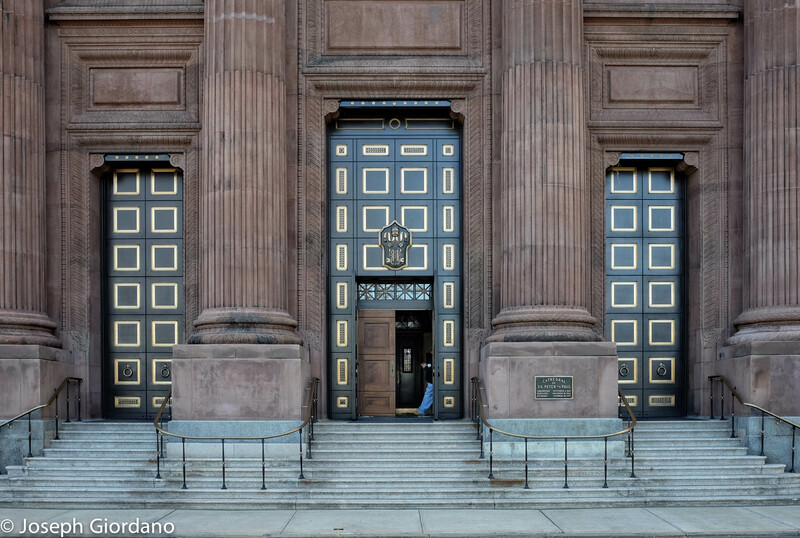 I do have a soft spot for any sort of brownstone building such as the older apartments in Brooklyn and NYC but this cathedral is just a spectacular example of brownstone construction. As you can see from the plaque it is also a very old structure. The carvings and details on this building are really incredible, and the pictures really do not do justice to this magnificent cathedral. 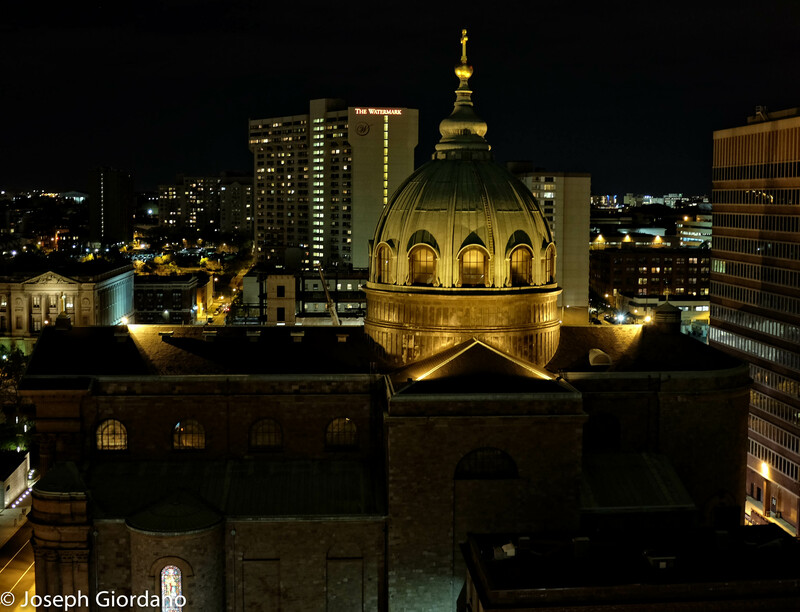 Here is a night view from our hotel balcony at the Embassy Suites at Center City Philadelphia.